Frank Warren has revealed that Gennady Golovkin rejected an offer to fight Billy Joe Saunders in June – but the promoter says the pair are in talks to meet on these shores for the undisputed middleweight title in September. GGG is looking for options after Canelo Alvarez withdrew from their May 5 rematch withdrew following two failed drugs tests. Spike O’Sullivan and Jaime Munguia are being touted as potential opponents for the WBA, IBF and WBC champion. 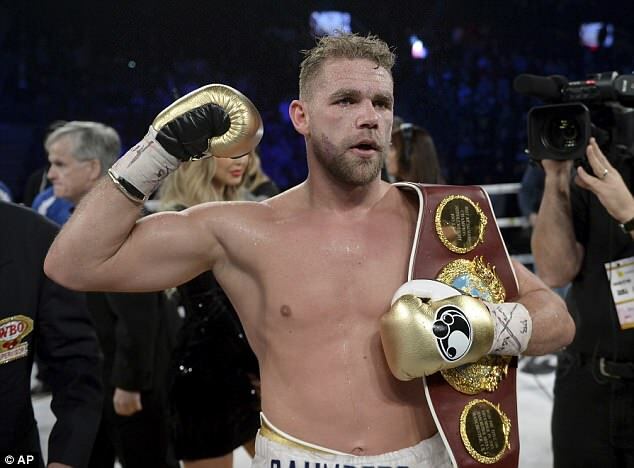 That date comes too soon for Saunders, who is recovering from a hand injury ahead of his fight with Martin Murray in June. But despite Warren claiming that Golovkin swerved a summer showdown with the WBO titlist, the veteran promoter insists the pair could still meet in the UK down the line. 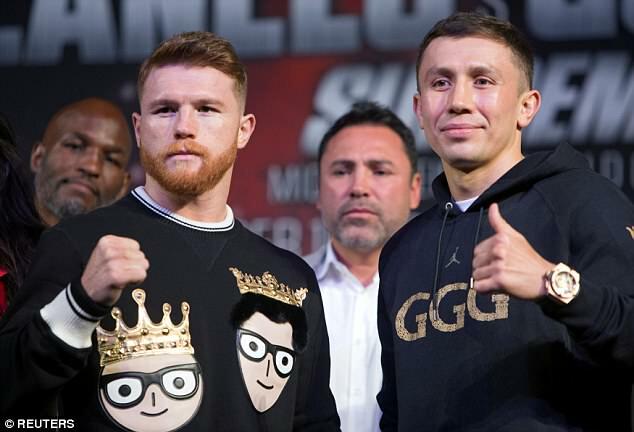 Reports suggest that Canelo and Golovkin could be rescheduled for the autumn, such is the clamour for a rematch following last year’s controversial draw. But should Canelo have the book thrown at him for his doping offences, a ban would open up the Kazakh’s schedule. And Warren believes that should be the case, if the sport wants to have itself taken seriously. ‘We couldn’t just cut corners to make that (May 5) date. It’s not just about being ready to fight Golovkin, it is about being ready to beat him. He continued in a statement: ‘(Saunders-GGG) would be a huge fight and one we would love to make here in the UK. Golovkin has said many times that he wants to add the WBO belt to his collection and it’s a fight that Bill would jump at.